1. Lord Alfred Tennyson, Lincoln. 2. Sir John Franklin, Spilsby. Born on 16th April 1786 and educated in Louth, John Franklin experienced his first taste of the sea aged 12 when he visited Saltfleet. He joined the Navy at the age of 14 and fought in two of the greatest sea battles; Copenhagen in 1801 and Trafalgar in 1805. He served as Midshipman to another Lincolnshire explorer, his cousin Matthew Flinders. Being shipwrecked off Australia did not deter the young John Franklin who later took part in exploration to the Arctic. He was knighted by King George IV. He was also presented with a silver plate by the people of Spilsby. Unfortunately, he disappeared while on his last expedition, attempting to chart and navigate the Northwest Passage in the North American Arctic. The icebound ships were abandoned and the entire crew died of starvation, hypothermia, tuberculosis, lead poisoning, and scurvy. Dominating the market area of Spilsby is an impressive statute of this remarkable man. 3. Dudley the Donkey, Cleethorpes. This is a slightly random statue to be proud of in Lincolnshire. But a donkey called Dudley just off the Promenade in Cleethorpes commemorates Gladys Nuttall, the first person to bring donkey rides to Cleethorpes before the Second World War. It was made by a local artist called Donna Peterson. Ingram lived from 1811 to 1860 and was a British politician and journalist. He is famous for inventing pictorial journalism in an illustrated London News. He was a liberal politician who favoured social reform. He represented Boston for four years before Ingram tragically drowned in a shipping accident in America. The statue was designed by Alexander Munro and was unveiled in October 1862. The allegorical figure at the base of the monument is a reference to Ingram’s efforts to bring the first piped water to the town. 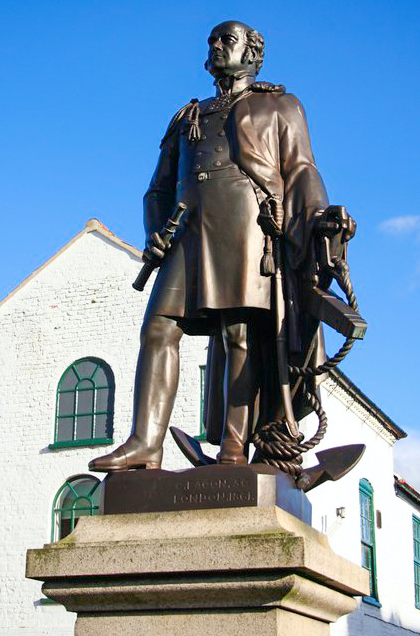 In the village of Donington, you’ll find a bronze statue of Matthew Flinders as a sea captain with telescope. At his feet is his cat Trim, born at sea in the Indian Ocean in 1797. Trim accompanied Flinders to Australia in 1801, survived shipwreck and capture by the French only to disappear in Mauritius. On the base plate, in front of Flinders, is a map of Australia with his route and ship. 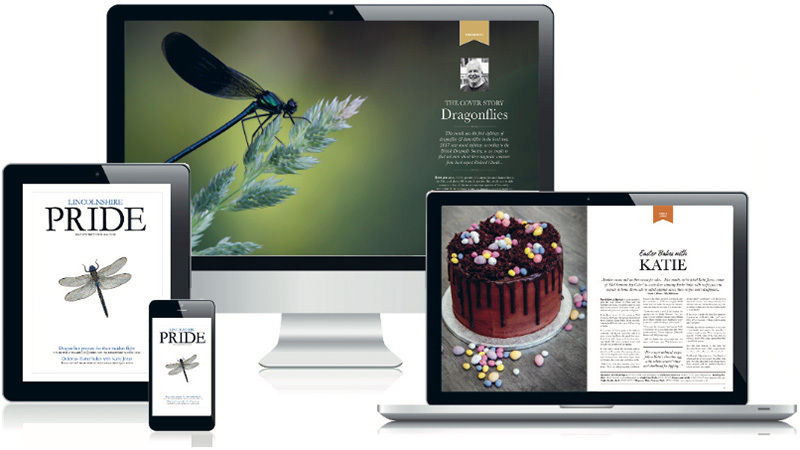 We have a history feature about Matthew Flinders in this edition. Read about his incredible journey and discoveries. 6. 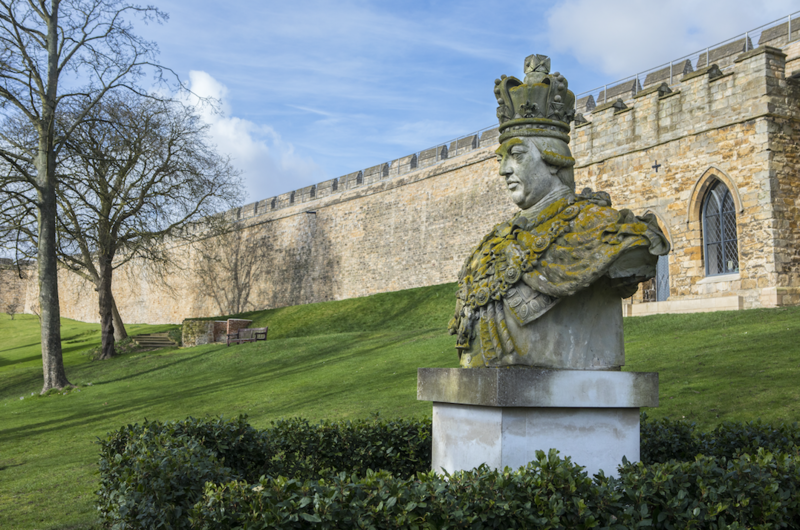 King George III, Lincoln Castle. The popular statue of King George III was once part of a full height statue placed on top of Dunston Pillar near Sleaford in 1810 in celebration of the King’s Golden Jubilee. Although George III’s Jubilee was the third royal Golden Jubilee in British history, it is the first one with records of public celebrations. 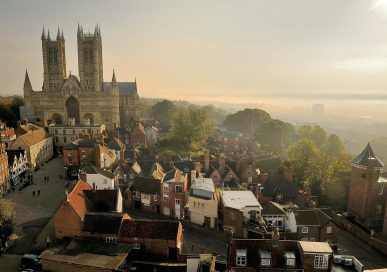 Lincoln’s festivities began with the pealing of bells and at 9am the mayor ate at the Rein Deer Inn, followed by a service at St Peter’s Church. A subscription was made in all the parishes so that the poor could also enjoy the occasion. The festivities in other towns in Lincolnshire included church services, teas and dinners. The serving of plum bread featured as a special treat. 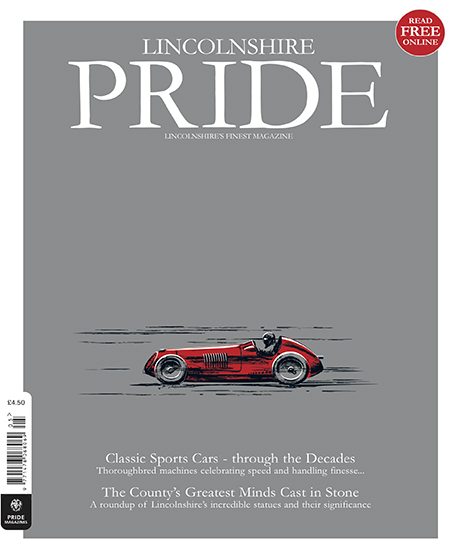 The statue was removed from Dunston Pillar in 1941 as it was judged by the Royal Air Force to be hazardous to aeroplanes at Lincoln Heath. Parts of the statue, which was made of the artificial stone called ‘Coade,’ were broken in this process. In 1956 the fragments were delivered to Lincoln Castle and stacked in the masons’ yard. It took until the early 1970s for it to be restored and the bust was put on display in the grounds of the Castle. The rest of the statue is in storage at Lincoln Castle until such time as further restoration can be undertaken. 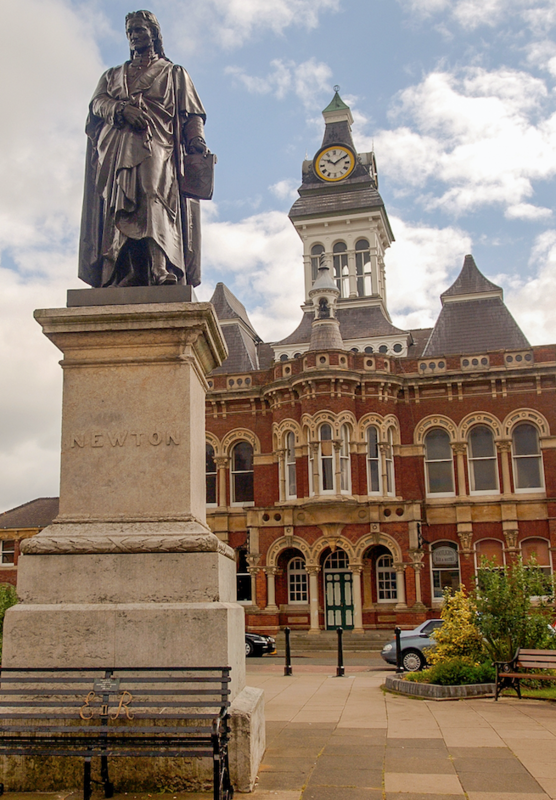 A statue in Grantham depicting Isaac Newton and cast in bronze was erected by William Theed in 1858 and was originally surrounded by iron railings. It shows Newton holding a scroll with a drawing of an ellipse which is the path taken by a planet around the sun. The statue wasn’t just cast from bronze; the metal used was of a Russian gun captured in the Crimean war. Sir Isaac Newton was a physicist and mathematician regarded as one of the most influential scientists of all time. From the age of about 12 until he was 17, Newton was educated at The King’s School, Grantham. 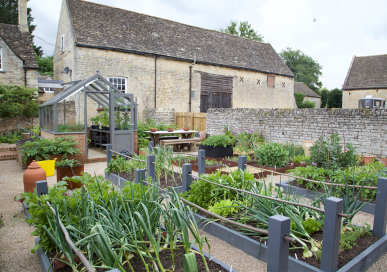 Grantham celebrates Isaac Newton in other forms too; there’s a blue plaque on King’s School, various shopping centres and schools with his name and Woolsthorpe Manor in Colsterworth – the birthplace of Newton – has been transformed into a museum. It’s run by the National Trust and creates a fascinating insight to the story of Newton and his link to Grantham. A visit here makes you realise what a brilliantly clever man he was and how his inventions and discoveries helped change the world. 9. The Jolly Fisherman, Skegness. The Jolly Fisherman is a poster created by artist John Hassall in 1908 after he was commissioned by the Great Northern Railways to advertise trips from London Kings Cross to Skegness. The trips cost three shillings per person and were so popular that the campaign ran for five years. It is regarded as one of the most famous holiday advertisements of all time and is believed to have influenced the success of Skegness as a holiday destination. 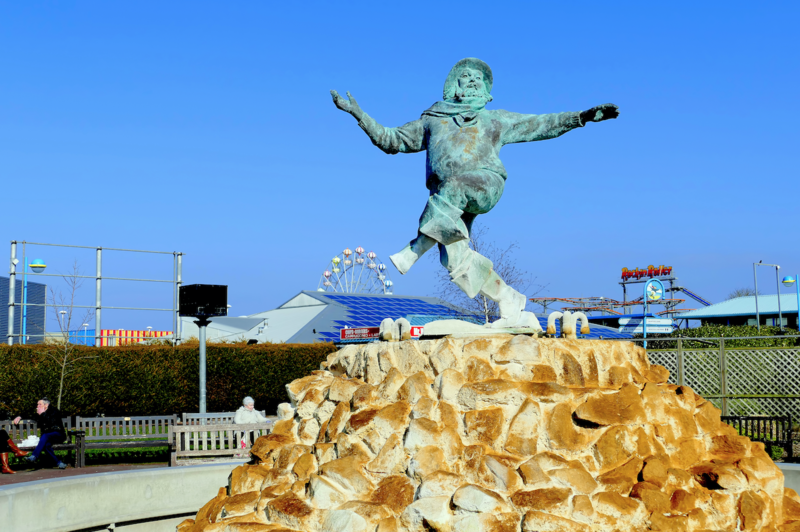 The poster depicts a fisherman skipping along the beach, with the slogan “Skegness is SO bracing.” He is now the mascot for Skegness and celebrated his 110th birthday in 2018. May 1989 saw the unveiling of the Jolly Fisherman statue in Compass Gardens. There were many attempts to erect a statue of John Wesley, cleric, theologian and evangelist, in Epworth, including one planned for the centenary of his death in 1891. However that was never built. 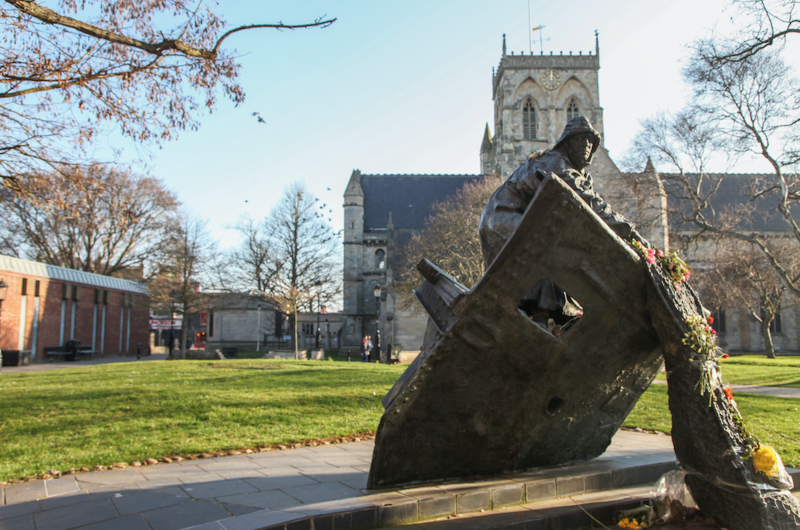 A statue was finally installed as part of the tercentenary celebrations of John Wesley’s birth in 2003. 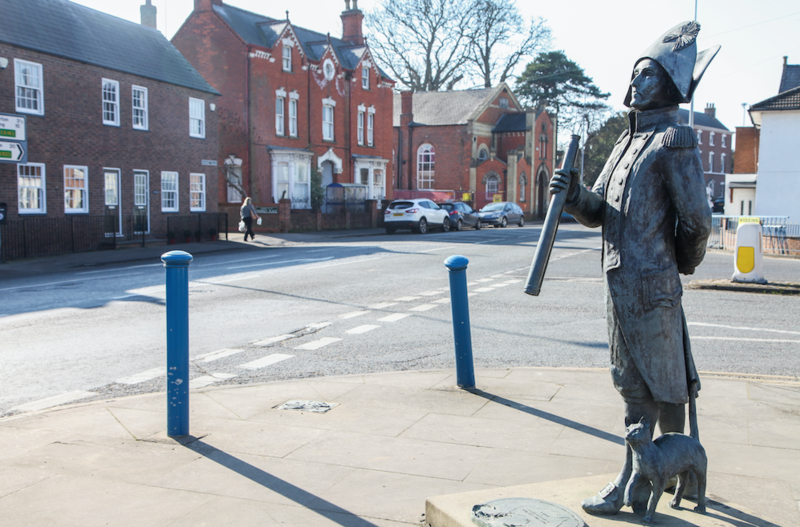 It was created by Sue Reeves, a local artist, and shows John Wesley preaching from a street in the town, while overlooking the Rectory croft. John Wesley was a leader of the revival movement of Methodism within the Church of England. 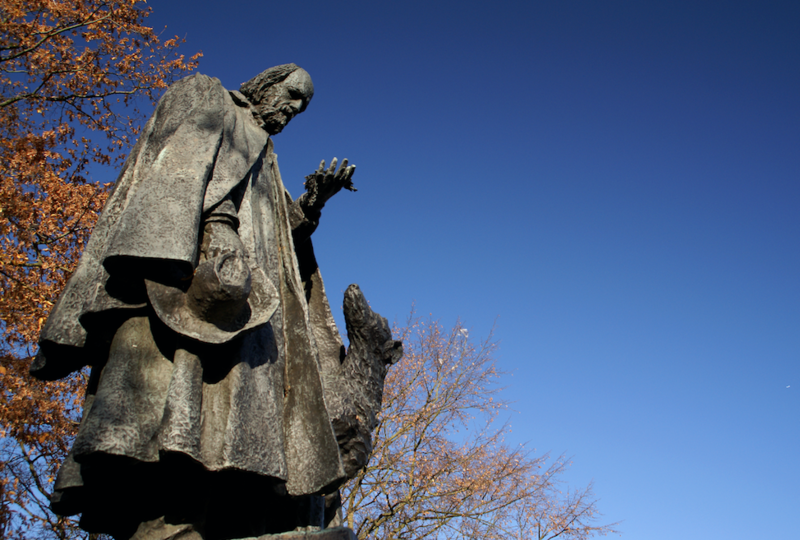 Wesley continues to be the primary theological influence on Methodist groups the world over.